Kate TaylorStarbucks has made several changes to its mobile ordering and payment system over the past year. Starbucks recently made a behind-the-scenes change called Deployment 2.0, designed to readjust workers’ tasks to better fit the evolving chain’s needs. The coffee giant has struggled with its mobile ordering process – a huge problem for a company that says digital sales are the key to its future. Business Insider visited Starbucks locations in New York every day for a week and found that Deployment 2.0 and other adjustments had improved its mobile ordering process. Starbucks recently and quietly made a major change to fix its mobile ordering process – and the improvement is already apparent. The coffee giant has long maintained that mobile ordering and payment system for its rewards program members is crucial to its future. “Almost all of our same-store sales growth is from those customers that we have digital relationships with and those that are in our Starbucks Rewards program,” Starbucks CFO Scott Maw said at a JPMorgan forum on Friday. But Maw said Starbucks had struggled in this crucial area. In January of last year, Starbucks reported that transactions – an important measure of customer traffic – had dropped by 2% in the most recent quarter in part because of problems caused by mobile ordering. Two months later, Business Insider visited the chain every day for a week and discovered a mess. 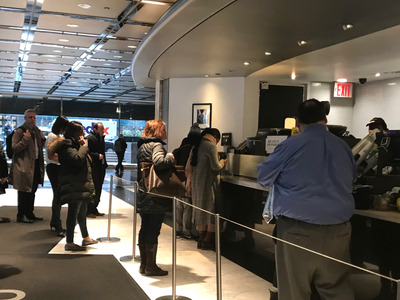 Orders that were supposed to take two to five minutes at a high-traffic location in Manhattan often took more than 10 minutes. Customers who were forced to wait were angry and complained on social media. Some even walked out without ordering or picking up their drinks. Kate TaylorPeople wait to pick up their mobile orders at a Manhattan Starbucks in March 2017. Over the past year, the chain has made several changes to its mobile ordering process. Last spring, Starbucks rolled out pickup shelves for mobile orders so baristas wouldn’t have to waste time repeatedly calling out absent customers’ names. The app also now alerts customers when their order is ready. Employees’ roles also shifted, with some workers assigned exclusively to mobile-related tasks – such as handing off drinks – during busy hours. The most recent change happened late last month. “About three weeks ago, we rolled out a national update … what we call Deployment 2.0, which is a terribly boring name, but that’s what we call it,” Maw said on Friday. Deployment 2.0 is Starbucks’ first national effort in roughly five years to determine how many employees – whom the company calls “partners” – should be working at different times of day and what exactly their tasks should be. Over the past five years, Maw said, the types of orders people are placing have changed, with more cold drinks and food in addition to traditional espresso-based beverages, but employees’ assigned tasks hadn’t. Kate TaylorWhile Starbucks still often has a crowd, the pick-up process is much speedier. The combined force of the changes is having a noticeable effect on the mobile ordering experience. 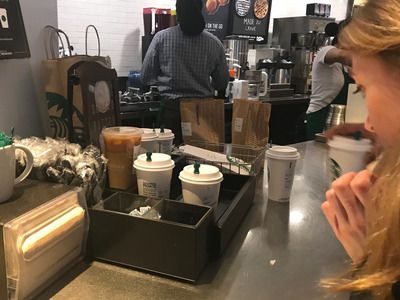 Business Insider visited Starbucks locations in New York every day for a week in March, soon after Deployment 2.0 rolled out (though we were unaware of the initiative at the time). We were shocked by how much the speed and experience seemed to have improved. While Starbucks was still hit-or-miss in August – the last time we recorded wait times for mobile orders – almost every order took less than five minutes this time around. Typically, our drink was ready when we showed up to the pickup area, roughly two minutes after ordering. Even getting food didn’t significantly slow things down. The only time it took more than five minutes was when we ordered a hot and a cold beverage. Still, that took just over six minutes – nothing close to the 10-plus-minute wait times we routinely faced last year. 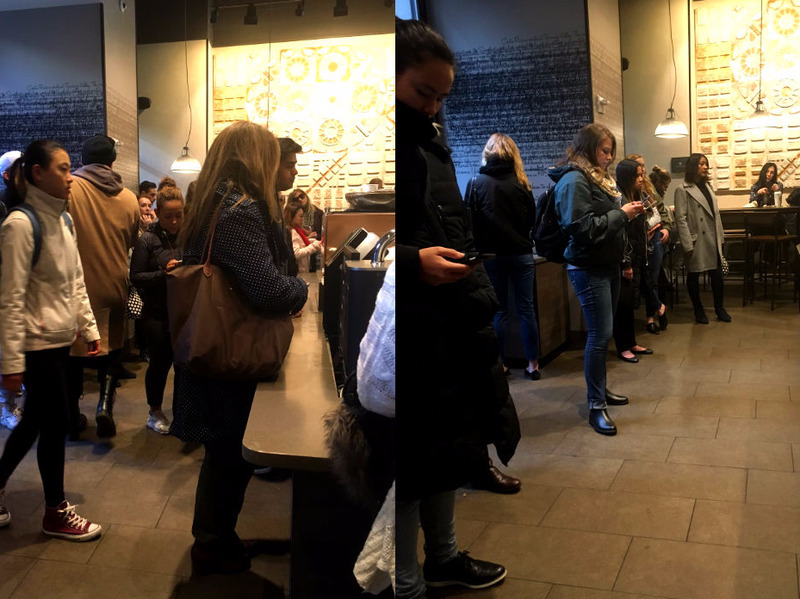 On social media, initial anger over Starbucks’ mobile ordering and payment system seems to have transitioned into a celebration of efficiency – and customers’ laziness. 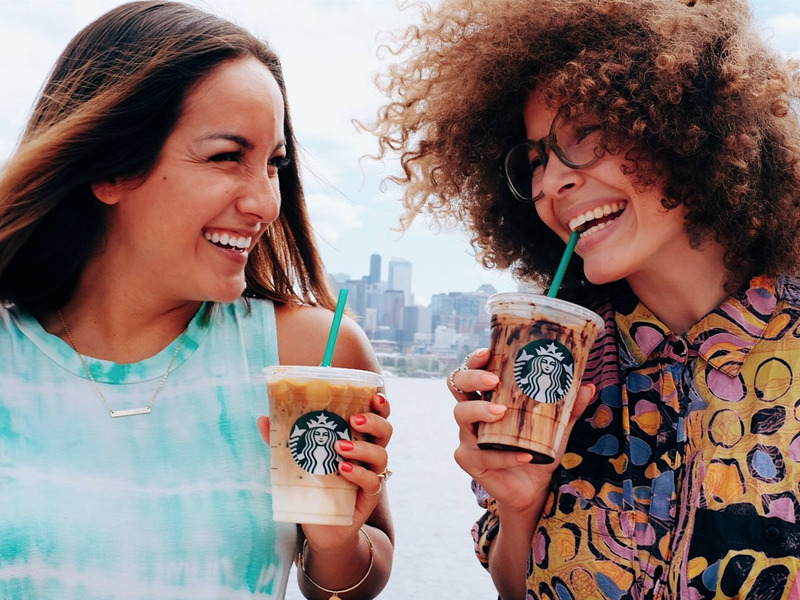 With most of its sales growth coming from mobile orders, Starbucks realises it cannot afford to rest on its laurels when it comes to digital. The chain is still struggling to increase traffic, which has been flat in the US over the past year. Maw spoke extensively about the opportunities that personalised digital marketing could give Starbucks as it targets different customers in distinct ways. The company’s next big digital push will come at the end of the month, when Starbucks rolls out mobile ordering and payment for all users. But the chain isn’t forgetting about its Starbucks Rewards customers. Maw says the company hopes to have the group increase how much they’re spending at Starbucks by the mid-single digits every quarter, while it wants to see double-digit increases in the number of rewards members.